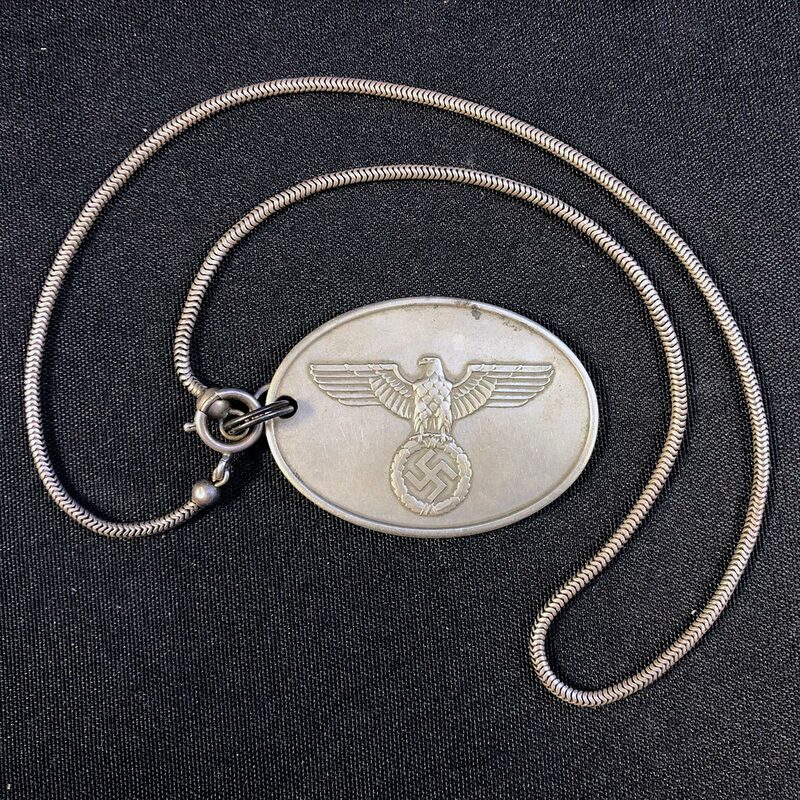 Perhaps some of the least understood of the Nazi era collectibles are these Warrant Discs. These were used by the state and local police (the criminal police), and the Gestapo (Nazi Germany’s secret police force). Of these discs the most well-known are the Kriminalpolizei Discs (also referred to as “Kripo” in the collecting world), which are typically the color of a penny, and on the reverse show the words, “Staatliche Kriminalpolizei”, which translates to “State Criminal Police”. Very similar to the State Kripo Discs are the Local Criminal Police Discs, which on the reverse read, “Gemeinde-kriminalpolizei”. There are other known variations of these discs, but the most collectible version are the Gestapo Warrant Discs. 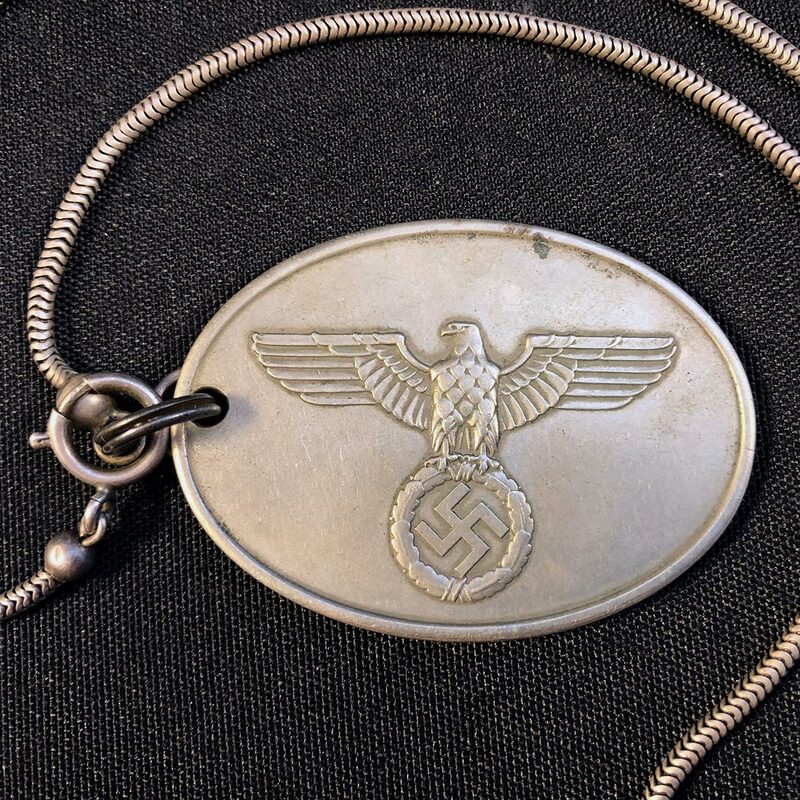 These are silver in color (earlier ones were struck in nickel silver) with the words, “Geheime Staatspolizei” on the reverse, which translates to “Secret State Police”, or Gestapo as they’re referred to. The Gestapo were ruthless, untouchable plain clothes officers whose missing was to hunt down anyone considered a threat to Nazi Germany. If the Gestapo showed up at your doorstep and flashed one of these Gestapo Warrant Discs, it was not going to be a good day.